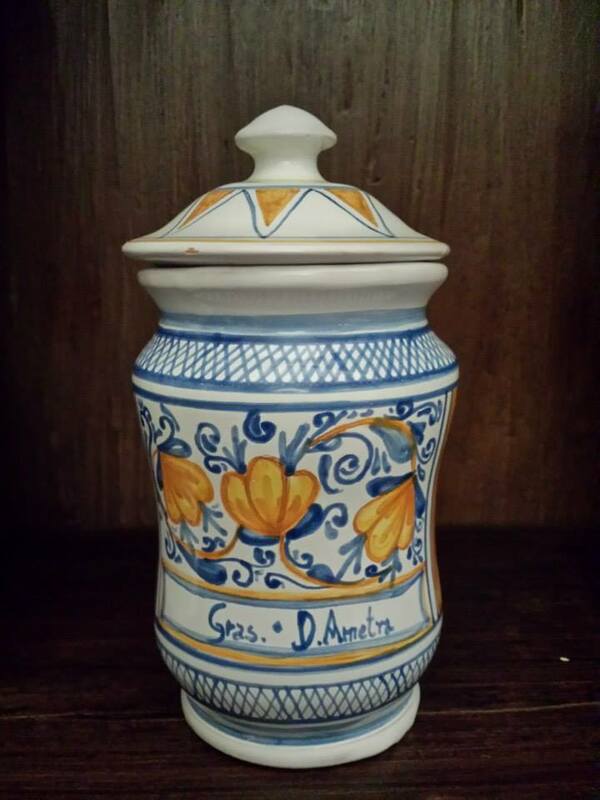 The Albarelli are particular jars that were used in the past to contain medicines. 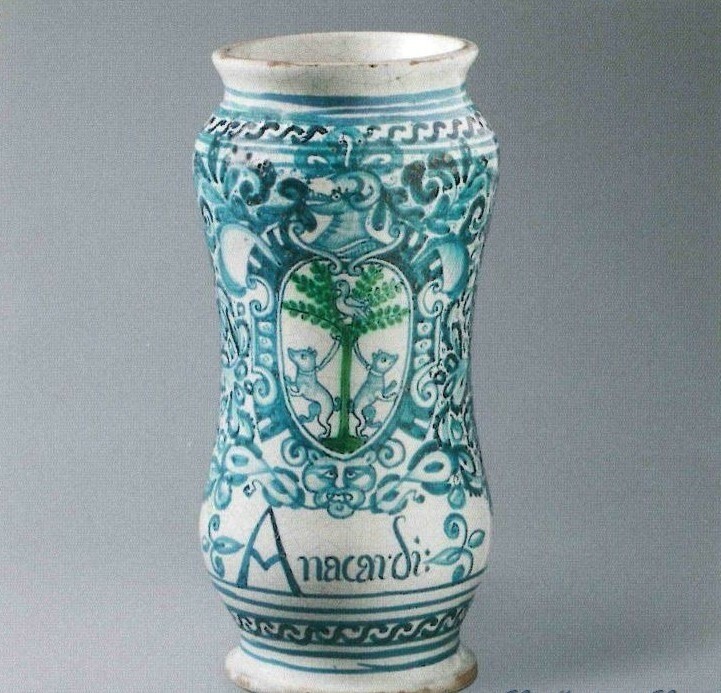 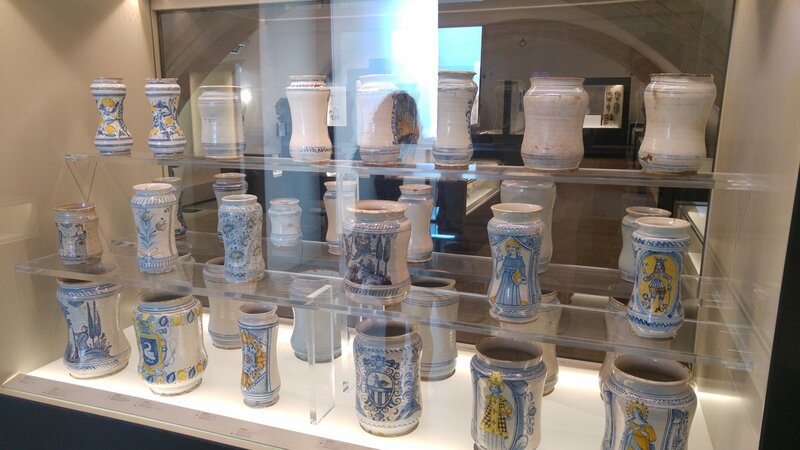 Nowadays, we can find many of the “Albarelli” of the sixteenth and seventeenth century at the MuMa, the Museum of Majolica Of Laterza (Piazza Plebiscito). 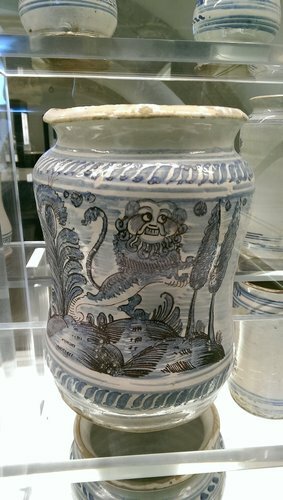 These jars were mostly of cylindrical shape and those of the seventeenth century had a central narrowing to allow a better grip. 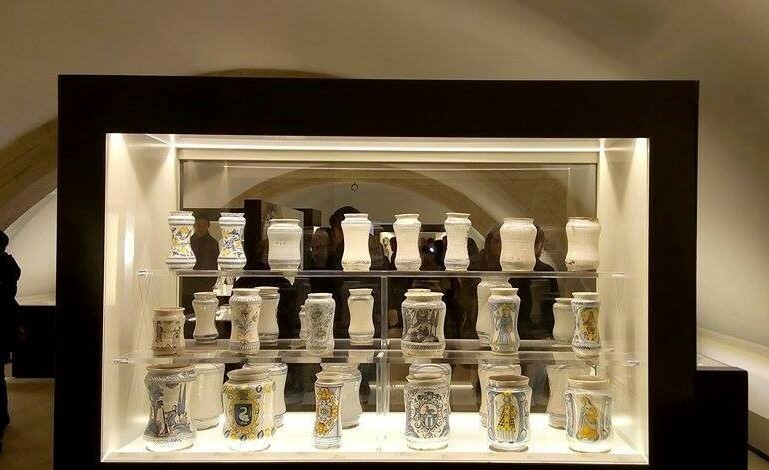 Decorated by the best "maiolicari" of the town, each of the "Albarelli" contained a different spice in order to have them classified. This albarello is peculiar thanks to the inscription “Anacardi”, which refers to its content: a plant that, in the past, had various applications in Medicine: from the cauterization of warts, to the reduction of paralysis. Raffaella Bongermino, La memoria ritrovata: Strutture e attività sanitarie a Laterza nei secoli XVI-XVII, Antonio Dellisanti Editore, Massafra (TA) 2007, pp.109.